At Sansego, we believe that the athlete simply comes first. Our team strives to be the "man behind the man" for our athletes. We work with all ability levels around the world and have a team of coaches hand selected by 3 x Ironman World Champion, Craig Alexander. As Craig has in his career, we focus on making training a piece of the multi-sport lifestyle balancing the demands of family, work and training. Online training plans to highly personalized one on one coaching relationships. 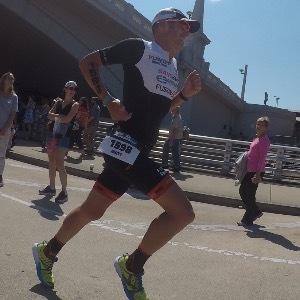 A seasoned athlete and coach, Matt Smith has been involved in triathlon and multisport for over 15 years. As a coach, his athletes have achieved the highest accolades in triathlon including Ironman and 70.3 podium finishes and overall wins. Personally, he has qualified for the Ironman and 70.3 world championships on every attempt. Matt serves as the North American coach for Sansego by Craig Alexander. A strong desire to learn and grow as an athlete and person. Someone who takes responsibility for their training and engages in the process. Success. Coach Matt Smith has been notified of your message. To hire Matt Smith as your coach, select the coaching service that is right for you.